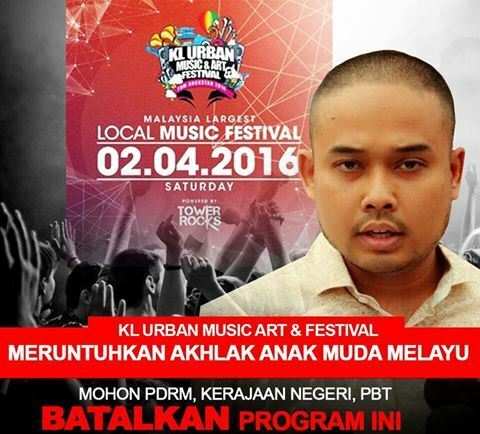 One week before the KL Urban Music and Art Festival 2016 would have been held at Sepang, its permit was suddenly revoked by the authorities when a local politician and member of BANGKIT, Eddy Casmady called out the authorities and demanded for the cancellation of the event. 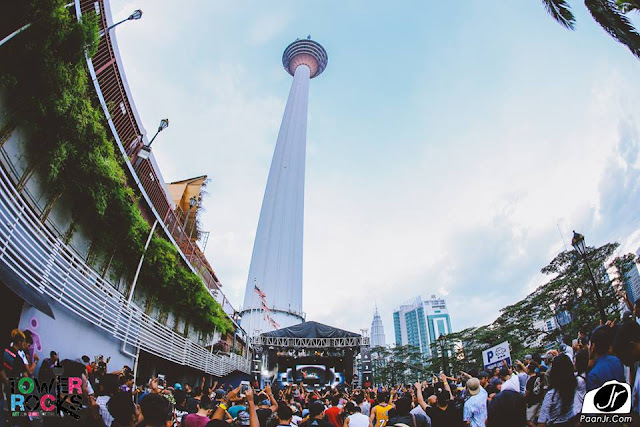 He claimed that the festival will cause the declination of moral values among the Malay community and promote hedonism and unpleasant behaviours among youngsters. Eddy also cited drug abuse, alcohol consumption, homosexuality and extreme liberalism as supposed social ills that often take place at these type of events. 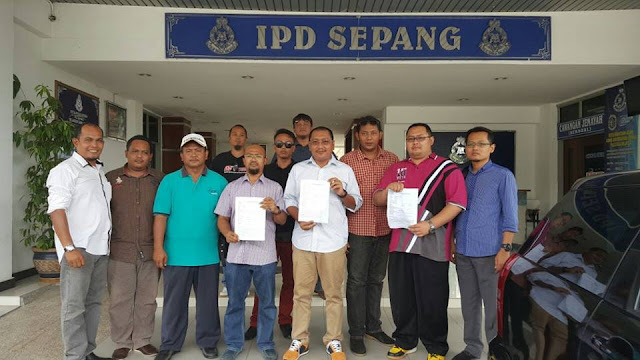 Due to his accusations, Eddy had received tons of backlash from netizens who said that he should then also ask for the closure of nightclubs, casinos and beer factories in Malaysia if he is truly worried about the degradation of moral values in society. Following Eddy’s long list of complaints, a group of men led by the UMNO Youth Chief from the Sepang division, filed a police report against the music festival on 23 March 2016 which then caused the festival’s permit to be revoked, even though it was approved two weeks ago. 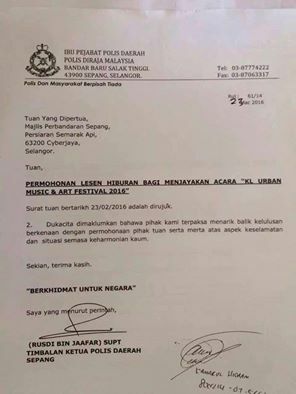 “I don’t know how the police carry out their investigations, especially since we have had a good track record for the past three years. How is the fourth one different? We have gone through the same procedures as we did before,” he added. 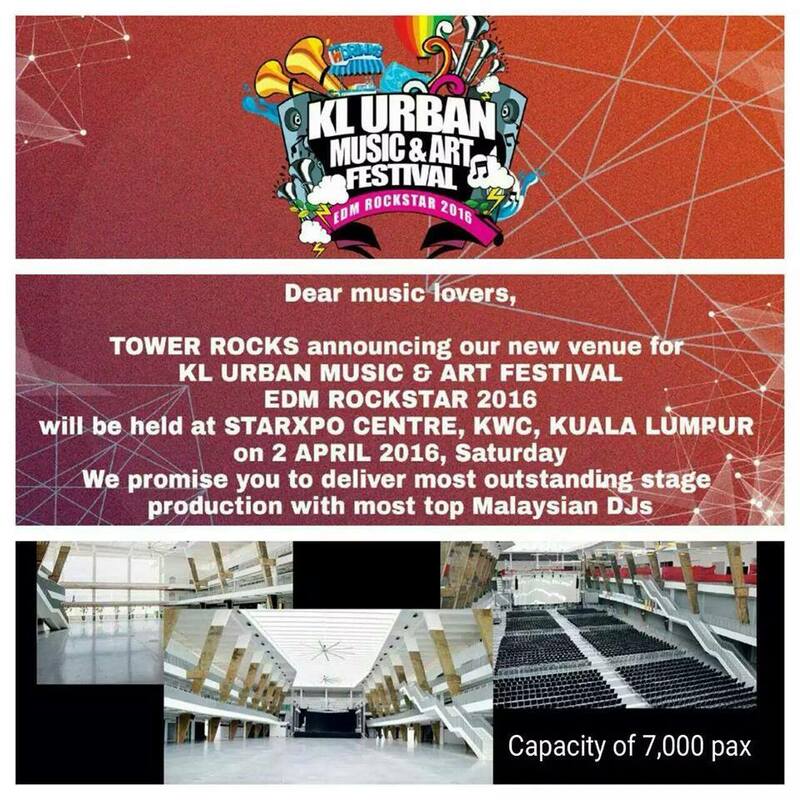 Although the event has been cancelled at Sepang, event organiser Tower Rocks has announced that the venue for the KL Urban Music and Art Festival 2016, also known as EDM Rockstar 2016, will be now moved to StarXpo Centre, Kenanga Wholesale City (KWC), Kuala Lumpur with no change in time and date. Tower Rocks also announced on their Facebook that this year will be the final year for the KL Urban Music and Art Festival.